When Kathy O, one of the recent graduates of the Expert Knitter Certification Program, handed in her final project and design journal we noticed an interesting tip! 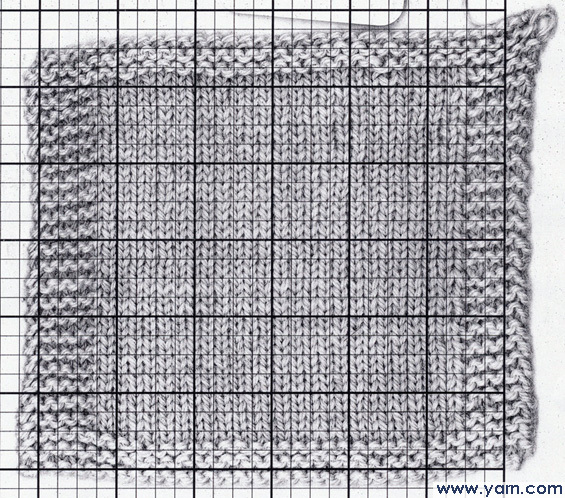 Kathy knit and blocked her swatches, and then placed them on a photocopier and printed a copy of her swatches onto graph paper. This allowed her to always have her swatches with her for quick reference, without having to carry around the bulk of multiple swatches, or risk damaging the swatches. This can also be done using a scanner. This entry was posted on Tuesday, July 10th, 2012 at 8:00 am	and is filed under Tips & Techniques. You can follow any responses to this entry through the RSS 2.0 feed. You can skip to the end and leave a response. Pinging is currently not allowed. This is one of the most brilliant ideas I’ve seen. Thanks for sharing. awesome idea! Only moments ago I read this article and already I have started to photocopy my swatches on graph paper as this article suggests. After that I scan the photocopy and save it to my computer. The scanned photocopies can easily be stored on a disk as well. And, might I add, the black and white photocopy shows the stitch pattern very clearly, sometimes even more so than the swatch itself. I think I’m going to try this tip for some of my upcoming designs! I’m confused – why doesn’t the swatch cover the graph lines of the copy paper? The paper it is printed on is graph paper. I thought there was graph paper behind it when the copy was made, but instead the graph paper is put in the paper feed for the copier/printer. That’s why there are such nice lines across the front. I am a beginner. Why would I want to photocopy my swatches? I can see if you were a big time designer, or just getting into designing, and wanted to carry the copies instead of the swatches around in a portfolio, but what good is this to the normal, everyday, person, knitting or crocheting? how interesting! seems like it might also help with accuracy as well, although i’m curious whether pressure from the scanner/copier cover would affect the gauge. definitely something to experiment with. thanks! You can copy without putting the lid down just place a larges piece of paper over the the swatch and leave the lid up. 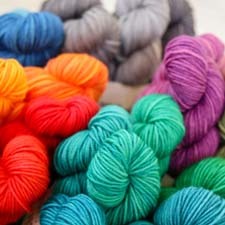 Hi It makes it a lot easier to count the stitches in any give area thus making you knit size more accurate. Thank you for answering. I’ll give it a try! I think it is a great idea even if I don’t want to carry around swatches. I agree with Maureen and Kirsten, this would really help my accuracy in counting.